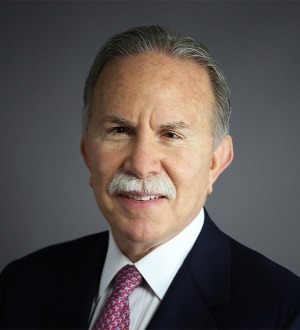 Marshall E. Eisenberg has an extensive background in mergers and acquisitions; real estate transactions; estate planning and probate; federal, state and international taxation, including tax controversy; securities offerings; joint venture formation; and venture capital. He has significant experience in matters relating to real estate investment trusts. He is a member of the firm’s Executive Committee. Marshall began practicing law 35 years ago in the area of corporate taxation and now focuses on complex tax planning and major corporate merger and acquisition transactions. His estate planning practice is international in scope, and he has advised many of the wealthiest families in the U.S. and abroad on matters of generational structures and wealth preservation. He has been a featured speaker at the University of Chicago Tax Conference. He has handled Initial Public Offerings and has served as lead counsel in complex income and estate tax controversies, as well as in commercial litigation. He he serves as trustee for wealthy families and is a director of public and private owned companies. In 2006 he received the American Jewish Committee’s Judge Learned Hand Award. Marshall received his J.D. with honors, from the University of Illinois College of Law in 1971, where he served as a Notes and Comments Editor of the Law Review and was admitted to the Order of the Coif. While attending law school, he also served as a research assistant to several law professors and was an Income Tax Instructor in the accounting department. He received an M.A.S. degree in 1968 from the University of Illinois, where he served as a teaching assistant in accounting and was a research assistant in the Department for Research on Exceptional Children. He received his B.S. from the University of Illinois in 1967, was admitted to Beta Alpha Psi and became a Certified Public Accountant.